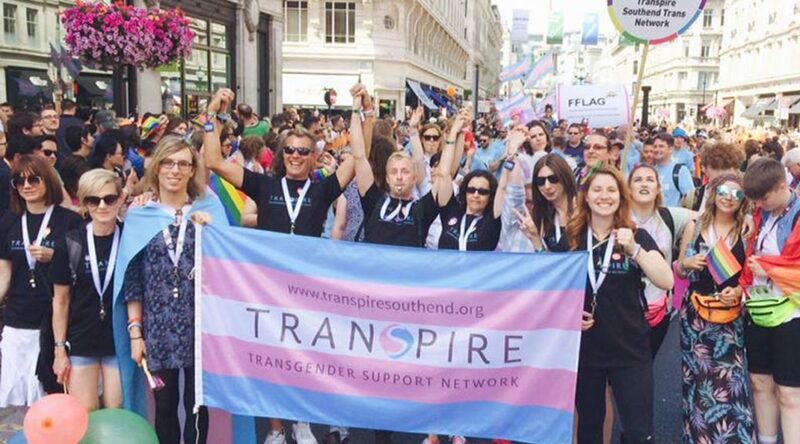 Transpire is a non-profit community group which supports transgender persons, their friends and family and the wider LGBTQ+ community in the Southend-on-Sea and surrounding areas. The group was formally constituted by its voluntary members in June 2016. One of our guiding principles is that no one should feel alone or isolated. It is our aim to provide a safe, friendly environment where people can meet and ‘be themselves’ without fear of prejudice or judgement. We hold regular ‘meet and eat’ social events which has only been possible thanks to the kind generosity of local businesses that support our cause. Due to their growing popularity, we are now expanding to include additional themed meetups where members can share their passion and skills with the group. Transpire is a member of the Southend Association of Voluntary Services (SAVS) and the LGBT consortium. So why a community group like Transpire? There is little on offer in the local area for the trans and LGB community, their families or friends. Feeling isolated can make people feel incredibly vulnerable and sometimes if feels like there is no place to turn to. Our group is here to provide a much-needed social support network. We have a closed Facebook group which anyone is welcome to join, trans or not and whatever your age. So please don’t feel people are automatically assuming you are trans just by joining the group. The idea is to enable everyone to socialise and network. Members of the trans and LGB community, of all ages, young and old, whatever their gender identity and whatever stage in their transition they have reached. Friends of trans community members who perhaps want to get a better understanding of how it feels to be a transperson or just simply offer their support. Nobody should feel isolated and through better education and understanding we hope to let people know they are not alone. Our support and advice is open to anybody that might need someone to talk to or just have a few questions they need answered. Our goals also include engaging with local organisations and businesses so that all can provide better services for trans people, their families and friends and the wider LGBTQ+ community.